← Wacky Wednesdays – Petrified Mummy’s! 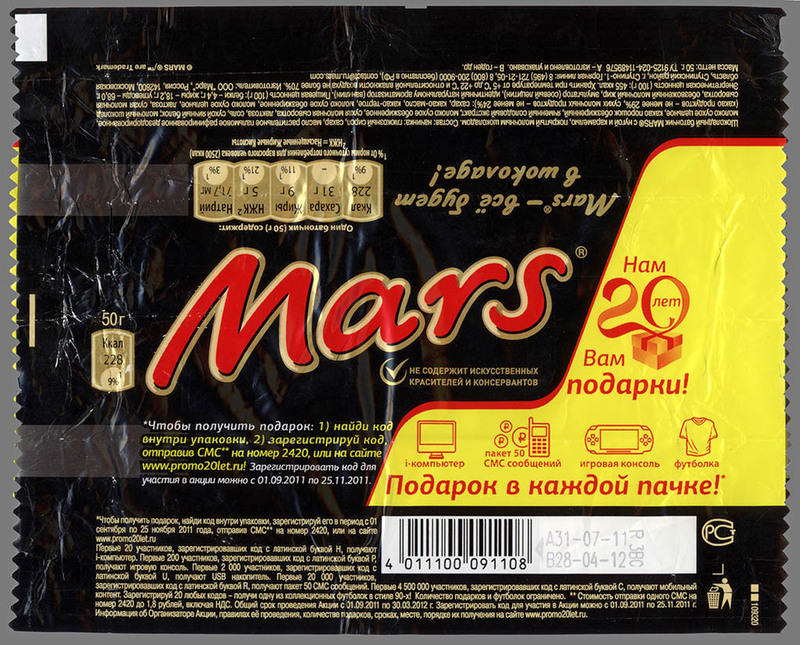 From 2011-12 the Mars company celebrated 20 years of selling their products in Russia by releasing bars with special commemorative wrappers. I recently acquired a variety of these and thought they’d be fun to discuss, while also sharing some personal memories from the period. It’s going depart a bit from our typical post format, but I hope you enjoy the tale I’m about to tell. I grew up in the 1970’s and 1980’s, years when the Cold War was the primary backdrop of the geopolitical landscape. 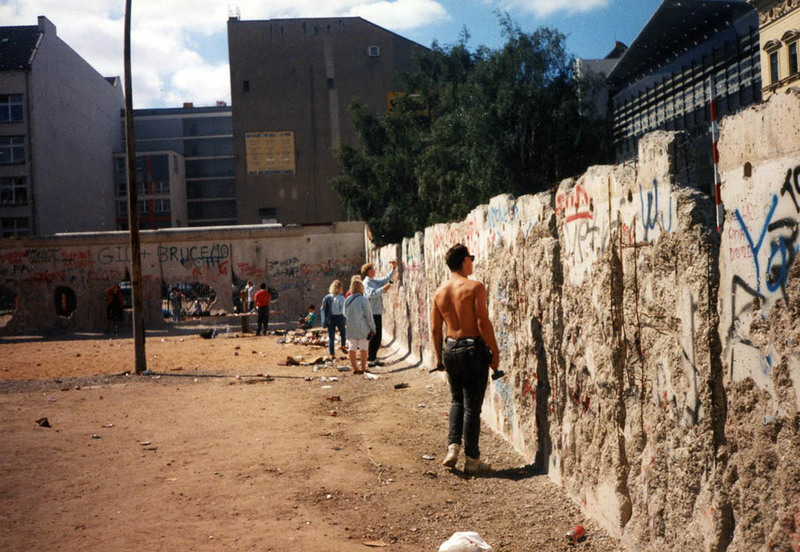 But in the fall of 1989, things were changing and in November of that year the Berlin Wall came down. That historical event had both literal and symbolic implications for how the world worked, and two years later the Soviet Union would be dissolved. 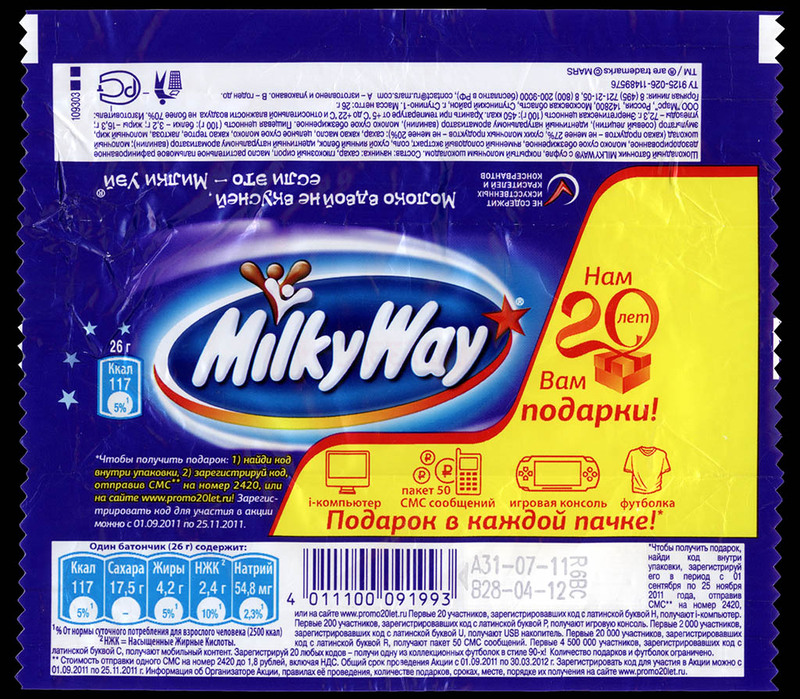 That dissolution presented an opportunity for western companies and opened the door to hundreds of millions of previously-unavailable customers. 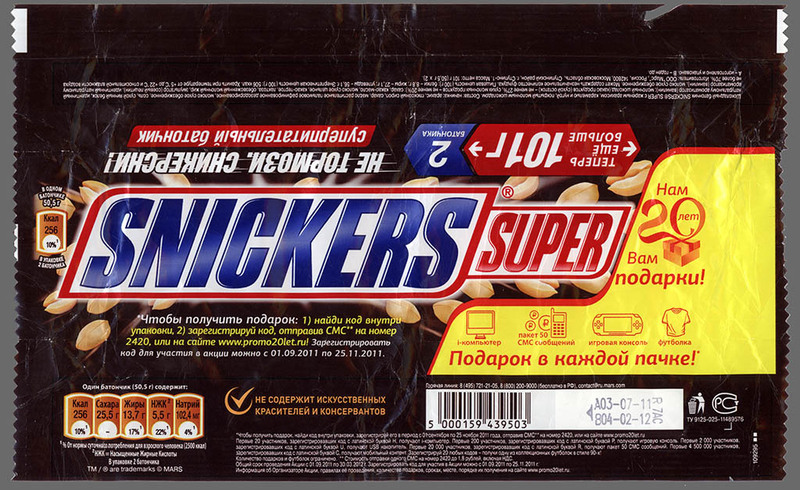 One of those companies was M&M/Mars, who in 1992 began to sell their bars to the citizen-consumers of the new Russia. 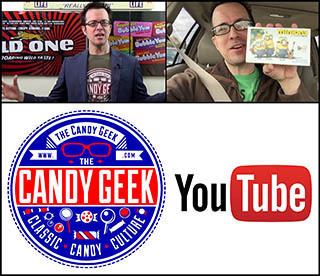 Before I get to the wrappers, I want to share the story of how I got to experience a little bit of this giant piece of history. 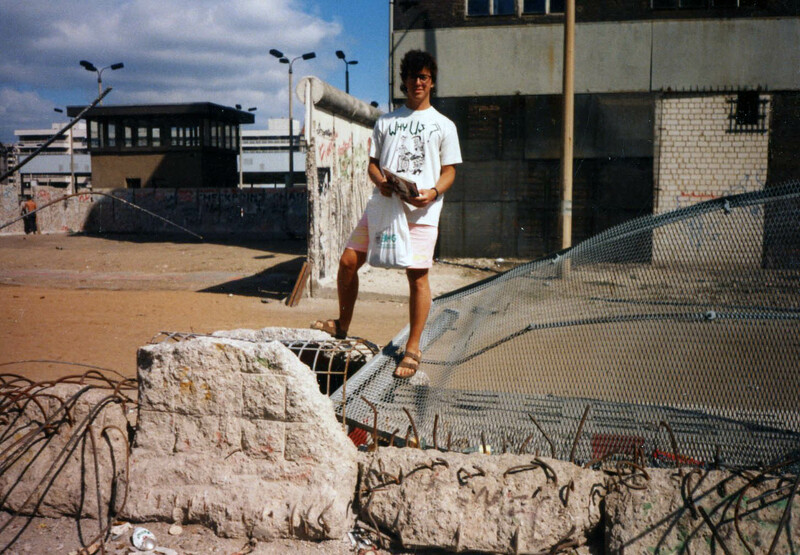 You see, in July of 1990 I was backpacking through Western Europe with two friends when we decided to visit the Berlin Wall before it was all torn down. So it followed that we put ourselves on a night train traveling through a large swath of what was East Germany only a few months before. 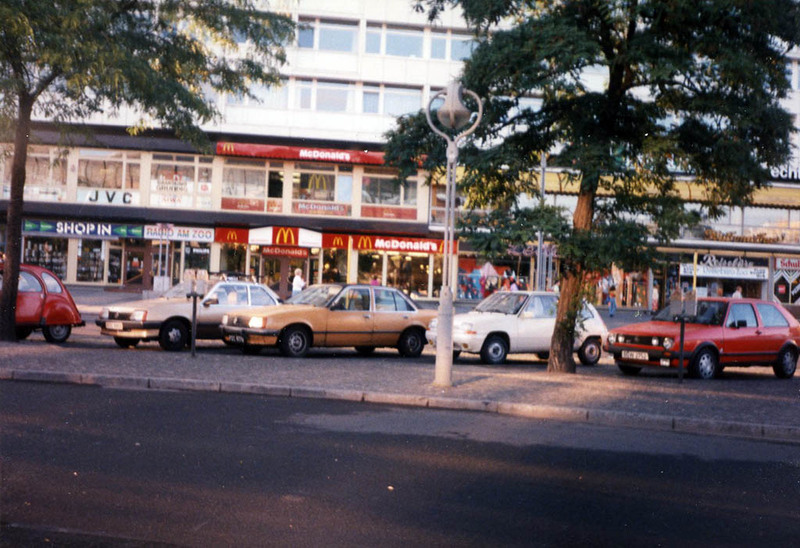 It was in May of 1990 when East and West Germany agreed to a common currency and trade, an agreement which had taken effect just a dozen days before our arrival. In the morning we awoke and disembarked out into the modern metropolis that was West Berlin. Still coming down from the mysterious overnight train ride we sought a comfort from home and so McDonalds was our first stop that morning. Though there was much to see that day, our goal was to make it to “The Wall” or at least what was left of it. You see, it had rapidly become a tourist attraction and the government would soon be razing it. Before it disappeared completely we hoped to join the throng in chipping away a souvenir of this iconic bit of architecture. We did eventually find an area where the wall still stood, as well as a man who would rent us a hammer and chisel. 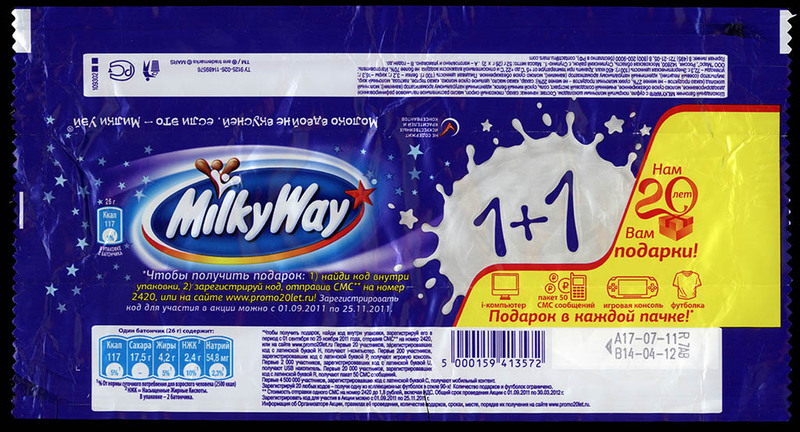 It was not exactly what I expected, but I was suitably impressed nonetheless. The section of the Berlin Wall we descended upon. That’s not me. 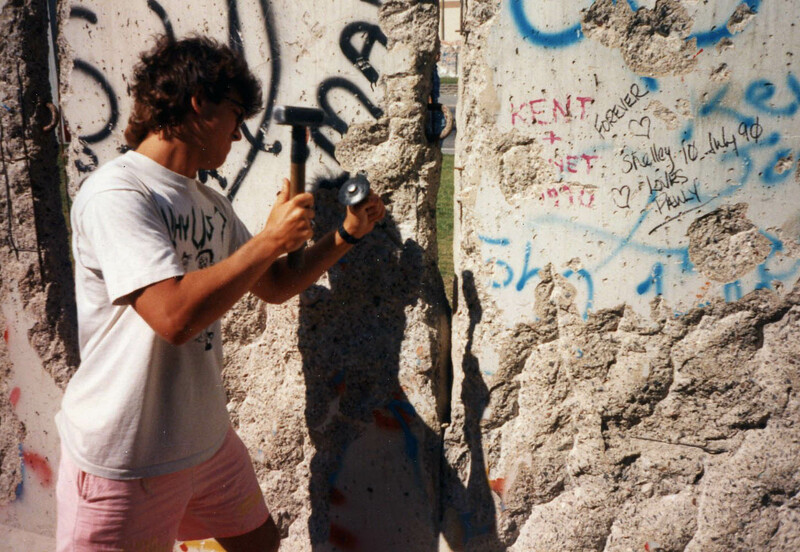 That’s me (and my cool 1980’s hair), chiseling away at the Berlin Wall – July 1990. I worked away and managed to gather a good couple dozen pieces of this rocky bit of history. Victorious – Atop a small section of The Berlin Wall – July 1990. The product of my work went into what my travel-mates called our “bag of rocks”. A bag of rocks! I mean, pieces of history. The sad epilogue here is that after a full day of lugging those chunks of The Wall around Berlin and then all the way back to West Germany, one of my travel companions would misplace the bag at our first stop. I would ultimately end up with a single extra piece that my pal Doug Vernon had socked away in his backpack (thanks, Doug!). I am pretty sure I took a photo looking into East Berlin with its streets and buildings devoid of commercialism save for a single newly-placed billboard, but I couldn’t locate it for today’s post. 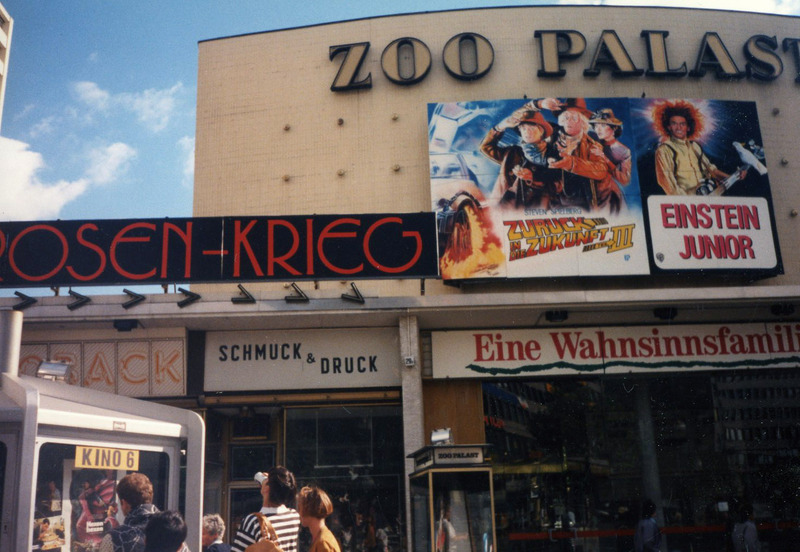 I do have a shot I took in front of the Zoo Palast, one of Berlin’s largest and most famous cinemas. Young Einstein and Back to the Future III were playing that day. My trip to the Berlin Wall was a special day that I’ll never forget as long as I live, and as I recall it was a time filled with much optimism for the future. It seemed like the people of the world had been brought closer together than they’d ever been and that we may finally have peace in our time. That night we boarded another train heading back into West Germany and on to the rest of our European journey. 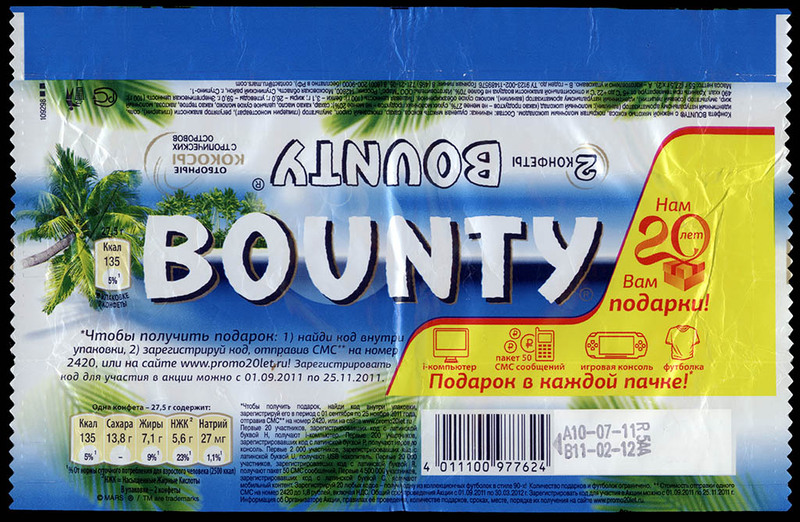 So ended my adventure “behind the Iron Curtain” and my peek into a world that would soon disappear; a world where walls separated so many of us and Snickers bars were only available to the citizens on one side of that wall, but not the other. The Berlin Wall had fallen and times were changing. 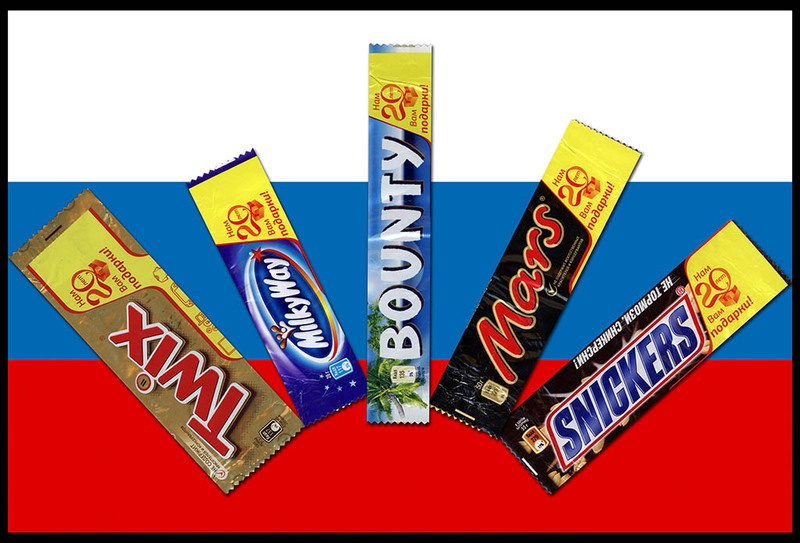 Soon the M&M/Mars company would present its colorful offerings to the consumer-citizens of Russia and it would appear that the Russian people embraced the western brands, because they got to celebrate a 20th anniversary. Which brings us to the focus of today’s post. And that’s all of them! 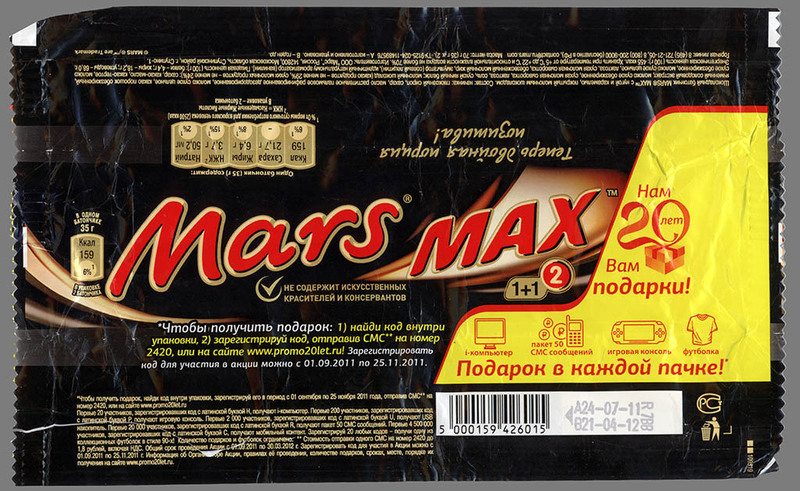 Eventually I’d like to find some of those early Russian M&M/Mars bar wrappers to add to my collection. 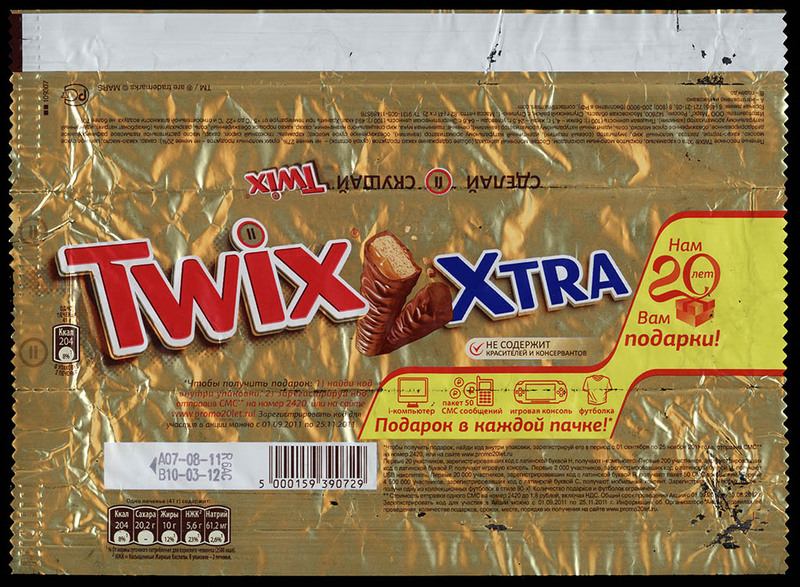 For now I’m happy to have shared these 20th Anniversary edition wrappers and my Berlin Wall adventure with you. 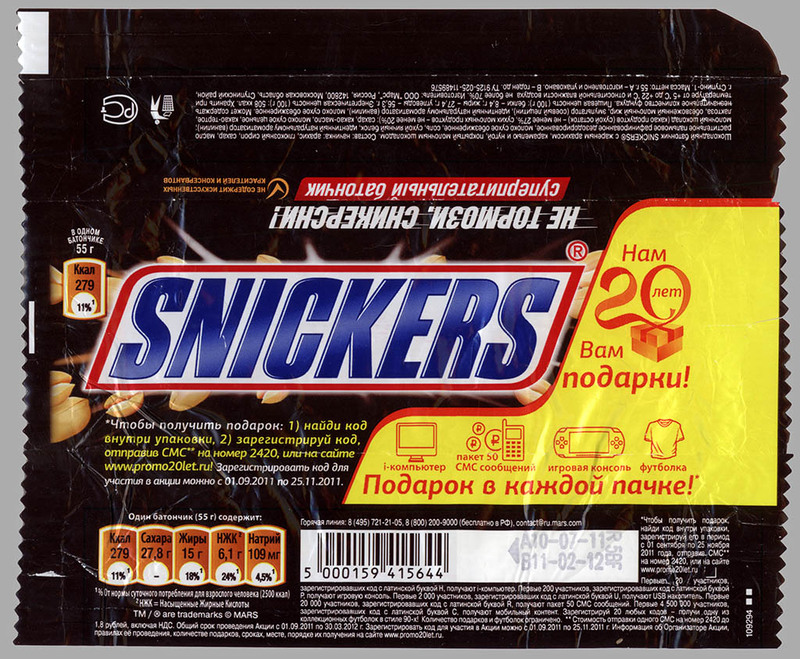 This entry was posted in 1990's, M&M's, Mars and tagged candy collecting, candy collection, candy collector, candy wrapper collection, candy wrapper collector, collectible, collecting candy, confectionery, confections, foreign, international, packaging, Russia, Russian, sweets, vintage candy wrapper, wrapper. Bookmark the permalink. 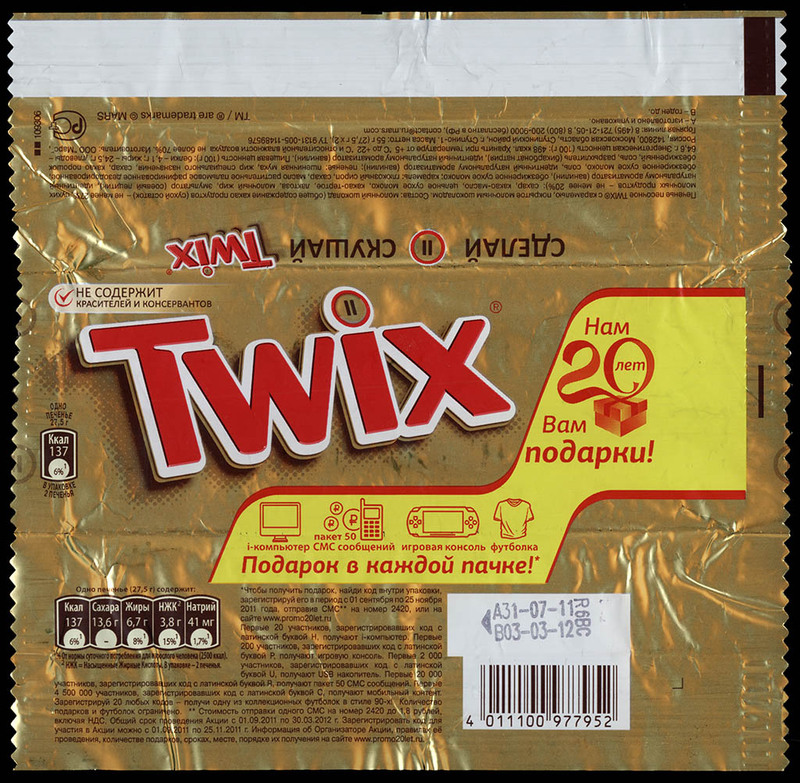 2 Responses to Mars Celebrates 20-Years in Russia! And How I Got My Piece of the Berlin Wall. 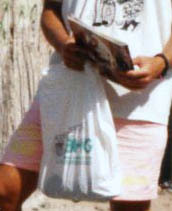 80’s hair and pink OP shorts. Win!